Of course, this list has to begin with food and wine: Cacio e Pepe is a plate of tonarelli (a square spaghetti) covered in a Pecorino Romano cheesy, black peppery sauce of the gods! It’s one of the oldest recipes of the Roman Empire. Wash it down with a glass of Cesanese, a wine made principally in Rome’s home region, Lazio. Expect bright red fruit like cranberries and pomegranates, bright acidity and often touches of iron. I highly recommend Trattoria Valentino in Rione Monti for a perfectly executed plate of Cacio e Pepe. If you saw Sorentino’s La Grande Bellezza (The Great Beauty), you may remember the scene where the protagonist’s date peeks through a keyhole and sees Saint Peter’s Basilica beautifully framed by a secret garden. This is the famed Bucco della Serratura. Sometimes short lines form, but they go quickly, and it’s worth it! Afterward, pay a visit to the neighboring Orange Garden (Giardino degli Aranci), where you can enjoy the full views from the Aventine Hill. Another famous hole, Bocca della Verità has been a curiosity of locals and visitors alike for centuries. Its found in the portico of Santa Maria in Cosmedin, where is has been housed since the 17th Century (that was actually a manhole cover in Classical Times). Legend has it that if you place your hand inside the mouth and tell a lie, the mouth would bite it off—this served as a prank and great scene in the film Roman Holiday starring Audrey Hepburn and Gregory Peck. This often-overlooked ancient Roman bath complex has an ineffable power, especially at sunset. On a recent trip, I tried out their new Virtual Reality headsets that allow you to see full reconstructions of what the impressive site must have looked like based on archaeological findings. 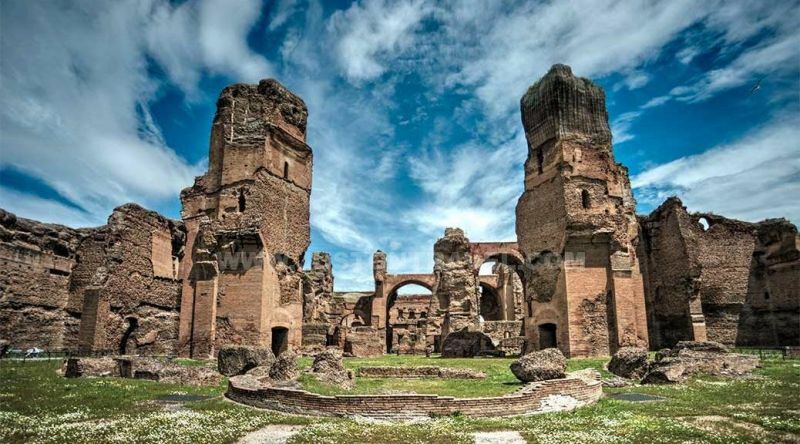 Even sans VR, the remaining mosaics and towering ruins will take your breath away! 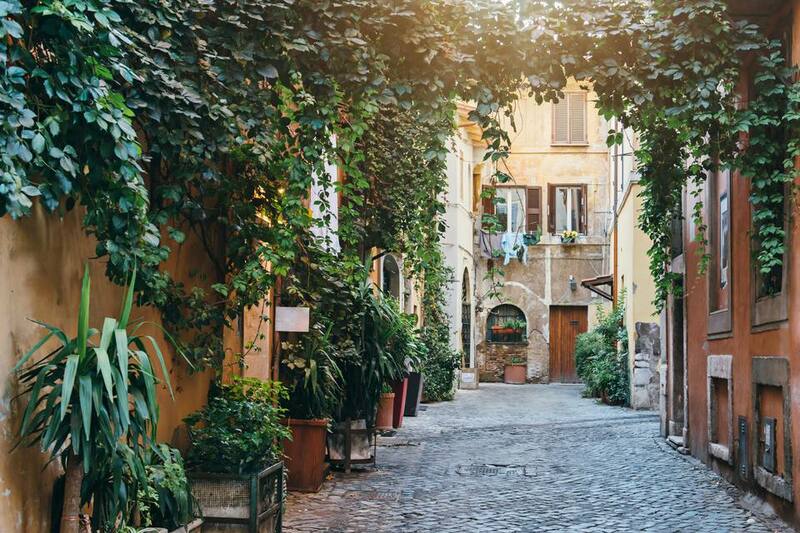 One of the best ways to get to know a city is just to wander, and the charming Trastevere neighborhood gives you a beautiful setting in which to do that. Enjoy the twists and turns of cobblestone streets, unexpected piazzas, artful graffiti and bustling nightlife. 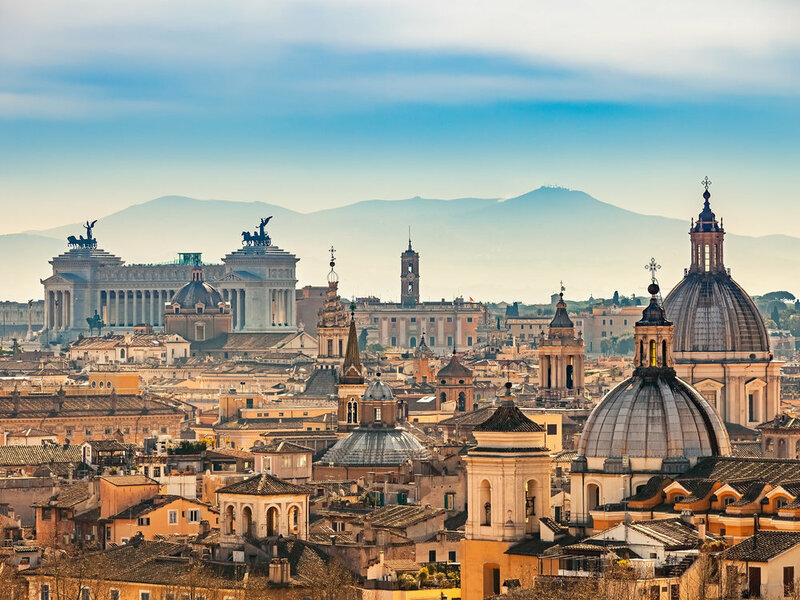 With a plethora of restaurants and bars lining the streets, you’ll get to discover your own little corner of the Eternal City.